Spring will soon be here. The time of year that many peoples minds turn to spring cleans and home improvements. This morning we caught up with Dan Evans the owner of Home Style Carpets and Flooring. Dan is the son of John Evans , the original Wrexham home based carpet selection service. 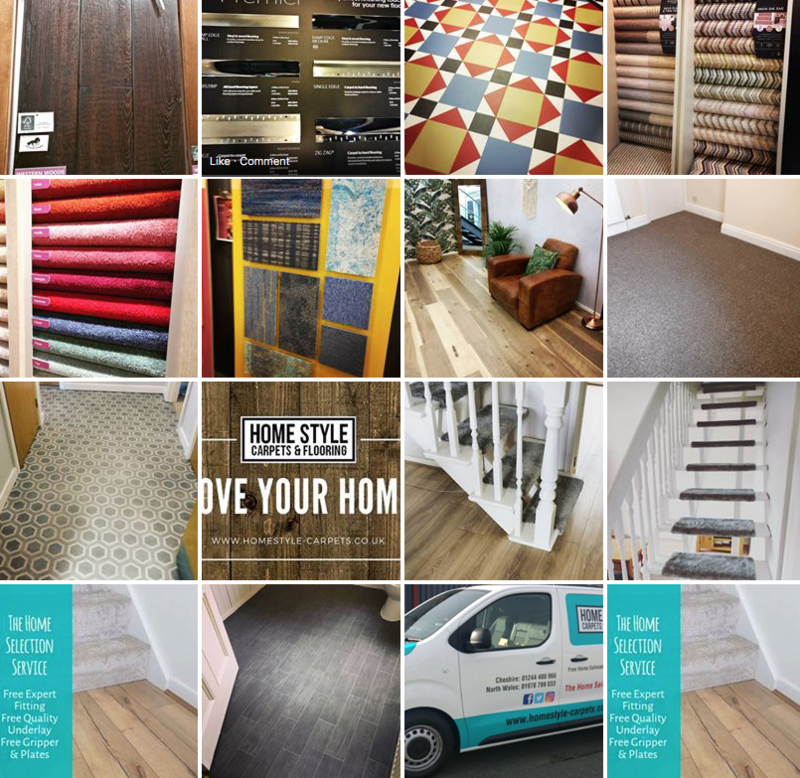 Home Style Flooring and Carpets have a huge selection of carpets, vinyls, wood and other floor covering. Give Dan a call on 01978 799033 and he will bring the flooring samples to your property for you to see them in location. He will then prepare a free estimate for you inclusive of fitting. If the price is acceptable orders can be places and a fitting date agreed to suit you. All without leaving your home. These are just a few pictures of the 100’s of jobs undertaken. You can check out many more on their facebook page.